Research reveals fossil record may have been impacted by the appetite of Osedax. 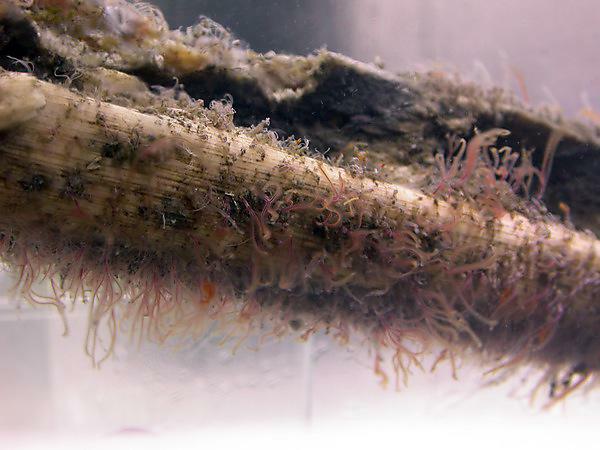 Scientists at Plymouth University found that Osedax – popularised as the ‘zombie worm’ – originated at least 100 million years ago, and subsisted on the bones of prehistoric reptiles such as plesiosaurs and sea turtles. Reporting in the Royal Society journal Biology Letters this month, the research team at Plymouth reveal how they found tell-tale traces of Osedax on plesiosaur fossils held at the University of Cambridge Museum. Using a computed tomography scanner at the Natural History Museum – essentially a three-dimensional X-ray – they were able to create a computer model of the bones, and found tell-tale bore holes and cavities consistent with the burrowing technique of Osedax. The paper, Mesozoic origin for the bone-eating Osedax worms, is available in the Royal Society journal Biology Letters.